Point the people you support (read: your family) to this guide. For a lot of people still using Windows 7, Vista, or shudder XP, it should be pretty useful. 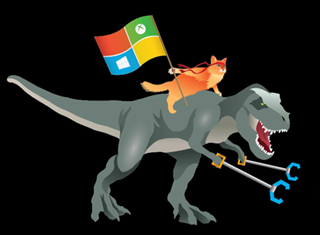 Windows is severely lacking in cats riding t-rexes though. Perhaps when the service pack comes out they’ll fix it?